Process purchase requisitions (PR), requests for quote (RFQ) with vendor/s., preparation of bid analysis summaries (BAS) followed by final preparation of purchase order (PO). Ensure all procurement documents are routed for approval using the IOM authorization matrix as applicable for the mission in the United Republic of Tanzania. Prepare request for payment (RFP) documents and close purchase orders when all consignment is received; submit RFP copies with supporting documentation to the accounts unit. 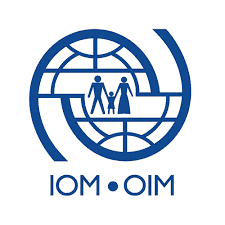 On a local level, liaise with customs and revenue officials to facilitate clearance of IOM consignment, as required by the country law. Keep all vehicles´ registration documents, taxes and stamps according to laws and regulations in force. Liaise with IOM Administration in Sub office, Kasulu to ensure that all IOM assets in Kasulu are insured at all times through a reputable Insurance Company under the best terms and conditions. Follow up on any claims that may arise. Organize maintenance of all office equipment (excluding IT equipment) and security of the Sub Office, Kasulu and guarantee a continued supply of all essential utilities. Maintain a file for each vehicle including copies of purchase invoice, insurance and other relevant documents. Undertake IOM Sub office Kasulu clearing & Forwarding assignments. Advise on importation & exportation of any duty‐free commodities and assist International staff in obtaining documents/licenses/exemptions etc. as and when appropriate.  Integrity and transparency: maintains high ethical standards and acts in a manner consistent with organizational principles/rules and standards of conduct.  Professionalism: demonstrates ability to work in a composed, competent and committed manner and exercises careful judgment in meeting day‐to‐day challenges.  Establishes strong relationships with colleagues and partners; relates well to people at all levels.  Is fully aware of the team purpose, respects and understands individual and collective responsibilities.  Willingly puts in extra effort without being asked and adopts a “hands‐on” approach whenever necessary to achieve team objectives.  Produces quality results and provides quality services to clients.  Meets goals and timelines for delivery of products or services.  Manages time and resources efficiently, monitoring progress and making adjustments as necessary.  Shows understanding of own role and responsibilities in relation to expected results.  Keeps abreast of new developments in own field of competence and creates opportunities for knowledge management initiatives.  Shares knowledge and learning willingly, and proactively seeks to learn from the experiences of others.  Puts new learning into practice and draws on diverse sources of ideas and inspiration.  Contributes to the identification of improvements to work processes and assists in implementing them.  Accepts personal responsibility for quality and timeliness of work.  Takes ownership of all responsibilities within own role and honours commitments to others and to the Organization.  Presents information using language and sequence of ideas that is easy for recipients to understand.  Adapts communication to the recipient’s needs, asks questions to clarify, and exhibits interest in having two‐way communication.  Encourages others to share their views, using active listening to demonstrate openness and to build understanding of different perspectives.  Experience in International, Public Procurement or Contracts and Supplier Management is required. Context: Under the overall supervision of the Programme Coordinator in Dar es Salaam and the direct supervision of the Emergency Operations Officer in Kibondo, with administrative coordination with the Head of Sub‐office in Kigoma, and in close partnership with the United Nations High Commissioner for Refugees (UNHCR), the selected candidate will be responsible for supporting the implementation of transport operations for the voluntary repatriation of Burundian refugees from refugee camps in Kigoma region to their country of origin. Coordinating with Logistics and Procurement Unit to ensure Service Providers provide timely deployment of buses and trucks where needed, required for the intercamp and cross‐border movements. Escorting convoys for both intercamp and cross‐border movements as needed.  Listens carefully and genuinely to the views and positions of others; acts on received information.  Proficient in Microsoft Windows and Ms Office applications. From 21st March – 03rd April 2019.